**Update- Since this post ‘s original post day back in March we here at My Own Sense of Fashion are sad to report the unfortunate and unexpected death of Actor Anton Yelchin at the age of 27 in a freak accident last month. The actor was known for roles as the title character in movies such as Charlie Bartlett, Alpha Dog and Pavel Chekov in the Star Trek franchise. According to Producer J.J. Abrams, Yelchin’s role will not be recast in the upcoming sequels. We offer our sincere condolences to his family and friends. 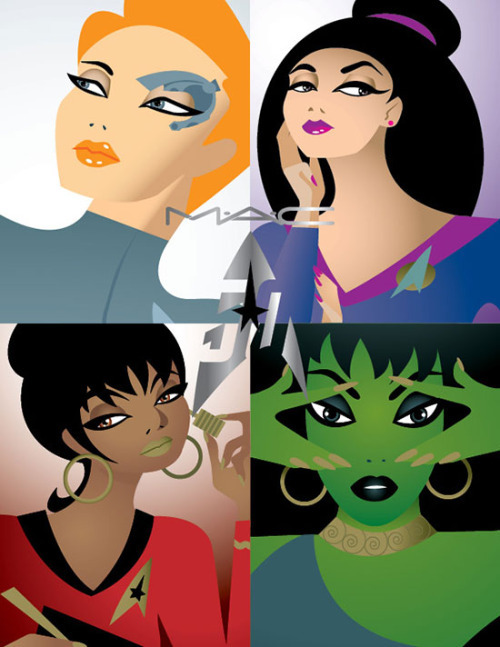 As it was reported yesterday, beauty brand MAC Cosmetics will be introduced a new collection inspired by the Star Trek this summer around the characters Deanna Troi, Uhura, Seven of Nine and the Orion Girl, Vina. According to StarTrek’s website, the 25-piece special deco collection will encompass lip, eye and face products. This collection will be available online on August 25th and in stores on September 1st. 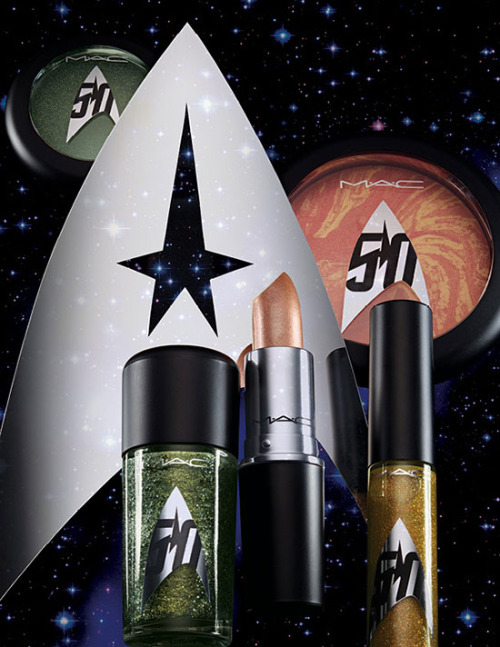 For the Trekkies attending San Diego Comic- Con they will be able to take part in a special exclusive one-day collection pre-sale on Thursday, July 21 at MAC Gaslamp. This will be taking place one day before the release of Star Trek Beyond. We will you be checking out this collection when it is released? Let us know in the comments below.